“Yep, that is gas pain. You need to use some gas drops.” Brayden was only six weeks old and I had never heard of gas drops, nor bad gas pain in a baby. I gave it a try, however, and it was a life-changer for him! Painful gas can make it hard for babies to sleep. Painful gas can keep them awake or even wake them from a sound sleep. It is important to note that not all gas is painful gas. 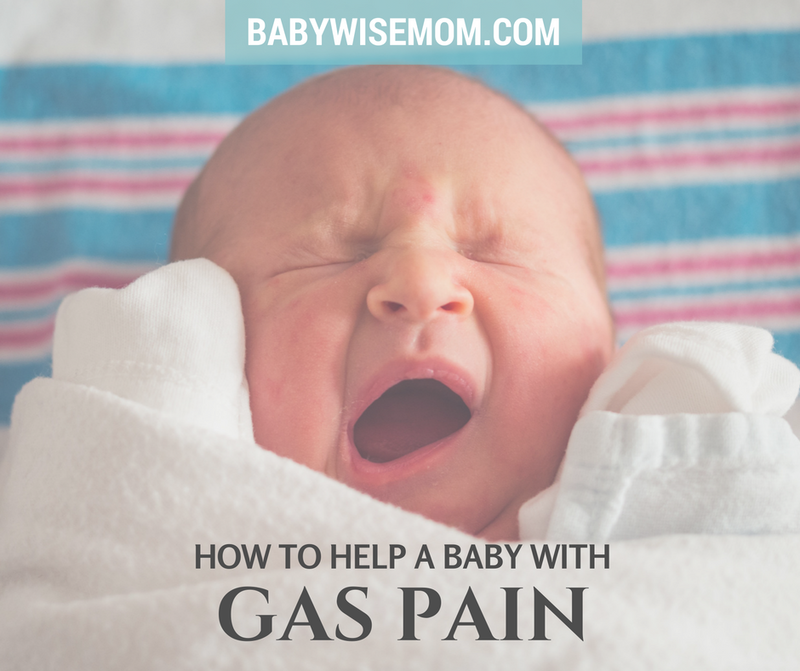 Just because your baby is passing gas with gusto does not mean there is pain associated with it. A baby having gas pain can arch the back, squirm a lot, and/or pulls legs up to the chest. This post contains affiliate links. Try to prevent it: This is done with burping well, keeping the head above the tummy during feedings, and evaluate your own diet if breastfeeding. The Towel Method can work wonders for colicy and gassy babies. If you are facing a lot of pain, be sure to check this link out. Treat it: for some babies, prevention methods might do the trick. For others, nothing but treatment will really help. My first and my third babies were gassy, and gas drops were such a relief for them. We used Mylicon, but we typically used the equate store-brand version of it from Walmart because it is so much cheaper. I found it to be just as effective. You can give this safely up to 12 times a day. I fed it to my gassy babies right after every single feeding. (Note, the price on Amazon is pretty similar for the two. You might want to check your local Walmart for the equate brand. Chances are it will be about half price). 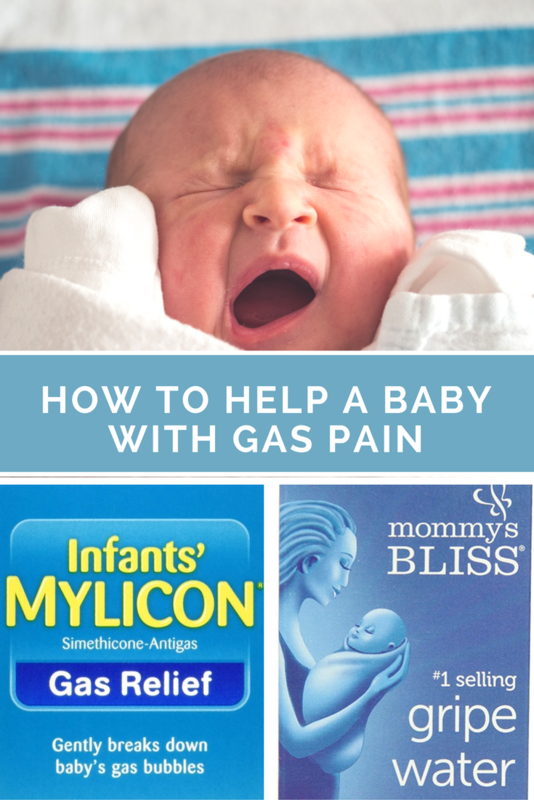 If your baby doesn’t have constant gas pain, you wouldn’t need to do the gas drops consistently. You could also consider using gripe water. I prefer Mommy’s Bliss brand (strongly). I would get gripe water for every baby whether there was pain or not. This is fantastic for immediately stopping hiccups or soothing an upset tummy. It can also help with colic and even teething. It can even help a bit with reflux. With McKenna, I used gas drops and gripe water. One tip, for the gripe water, I used a quarter of the recommended dosage. That was enough. Gas pain can cause so much trouble with sleep and so much pain in your little one, but it can be so easy to treat. If you suspect gas pain, I highly suggest you get a bottle of gas drops and give treatment a try. If baby settles, you know that was it and you move forward with far more contentment. If not, you look at other possibilities. It is a simple solution that is easy to try. It is very worth helping your baby be comfortable.